Welcome to this month’s Magical Blogorail Red loop. Today we are discussing the Disneyland Resort Diamond Celebration. 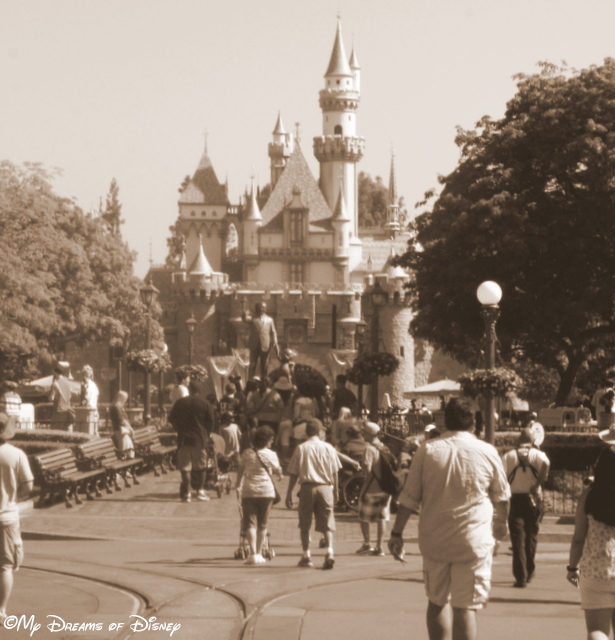 On July 17, 1955, this Castle enchanted the world. On July 17, 2015, it will enchant us once again. Hello everyone, and welcome to this month’s Magical Blogorail Red post! This month, we are gearing up for all the excitement, grandeur, and spectacle of the #Disneyland60 anniversary! My family is fortunate in that we will be able to enjoy Disneyland on July 17, 2015 — the 60th Birthday of this incredible vision of Walt Disney! In this post, I plan on sharing with you all my hopes and dreams for that day, all the things that we hope to enjoy, and what that day means to me personally. So hop on and join me and my wonderful Blogorail teammates as we share what it means to us! All of these attractions are ones that I want to enjoy when we are there. To me, there is something extremely cool about enjoying the attractions today that were there in the days of yesteryear. I imagine what it might have been like to ride on them on that day, whether they had any issues, or was everything running to Walt’s standards. Just imagining it takes me there right now! When we were fortunate enough to go to the Magic Kingdom to celebrate the 40th birthday of that park on October 1, 2011, the weather was absolutely spectacular — hardly a cloud in the sky, with perfect temperatures, it was like Disney controlled the weather that day! For this celebration, I wouldn’t be at all surprised to see the same thing happen. It just feels like it will be that way, and regardless of whether it is or not, it will still be incredible. Cindy, Sophie and I will not be there by ourselves, of course; we will have our niece Stephanie and her husband Shane with us, and we will have our great friend Sheila and her daughter Jagan with us, so the celebration will be even greater because of their being there. Sheila grew up at Disneyland, it is her home away from home, and she has a fountain of information about the park that I love to hear about. That will make the day even more special. Most of all, though, this day is about Walt Disney. On July 17, 2015, we will celebrate Walt, his vision, his determination, his compassion, and his desire to see families having fun together, and we will look upon his park and give thanks for his life. On that day, I will look at Sleeping Beauty Castle like it is below, and imagine myself to be there, with Walt welcoming me to the park that day. Thank you for joining us today — please check out my friend Julie’s post about the 60th Anniversary Dazzling Decor! 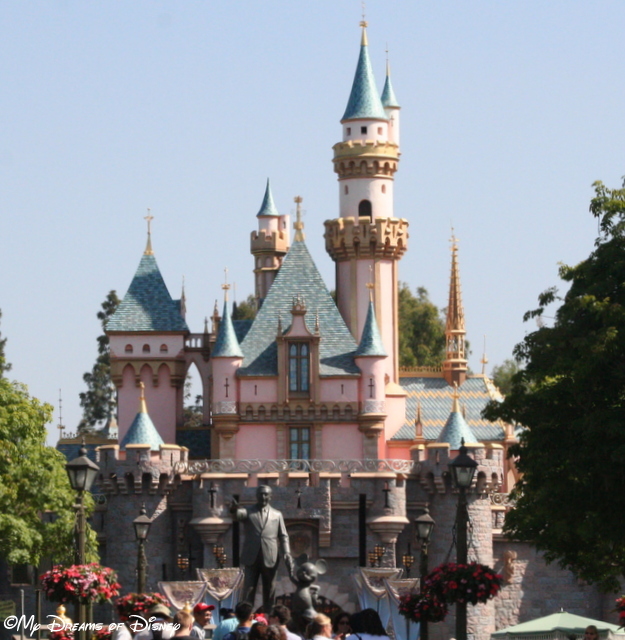 1st Stop – My Dream’s of Disney | Celebrating #Disneyland60 at Disneyland! American Broadcasting Company, Amusement park, Anaheim, California, Casey Jr. Circus Train, Disney California Adventure, Disneyland, Disneyland Resort, Dumbo the Flying Elephant, Main Street, Main Street Electrical Parade, Sleeping Beauty Castle, The Walt Disney Company, U.S.A. Thanks Casey! It’ll be great to be there!